Christchurch City Libraries lists literary prize winners and links to catalogue searches, but we may not hold copies of all titles mentioned. See more kids literary prize winners. The Storylines Margaret Mahy Medal and Lecture Award was first presented in 1991 to Margaret Mahy in recognition of her contribution to the world of literature for children and young adults. Surprising Moments, her inaugural lecture, set the standard for those given by subsequent award-winners. These published lectures by the champions of the New Zealand children’s literature community have enriched New Zealand’s literary heritage with their insight into the experiences, ideas, issues and concerns involved in writing and/or illustrating for children, improving literacy, and ensuring access to quality literature. The award carries a monetary prize of $2000 and is presented annually to a person for their lifetime achievement and significant contribution to the broad field of children’s literature and literacy. This includes writing, illustration, publishing and academic fields. The address is published on the Storylines website immediately after the award presentation. Mandy Hager , young adult fiction writer. She has also written fiction and non-fiction for younger children, as well as film scripts and educational programmes. Janice Marriott, children’s author, screenwriter, mentor, audio producer, editor and teacher: lecture text published as The Word Witch's Gift. Des Hunt is the author of more than 20 acclaimed children’s and young adult novels, most set in New Zealand with strong environment and science themes. David Elliott, author and illustrator. When the Bowsprit Get Mixed with the Rudder. 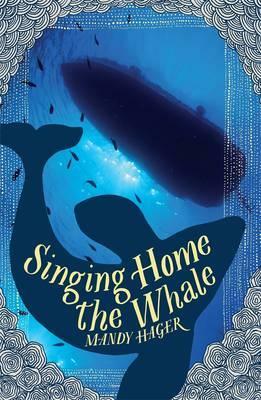 The 2014 Margaret Mahy Award Lecture. Bill Nagelkerke, author, (former) librarian and international children’s literature judge. The Sorcerer's Apprentice. The 2013 Margaret Mahy Award Lecture. Fleur Beale, writer. For her outstanding contribution to New Zealand writing for children and young adults . Where do ideas come from? The 2012 Margaret Mahy Award Lecture. 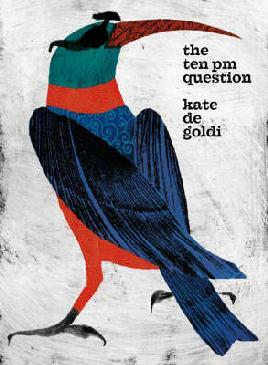 Kate De Goldi, writer, publisher and broadcaster. For her versatility, creative use of language and reputation as a fine public speaker . 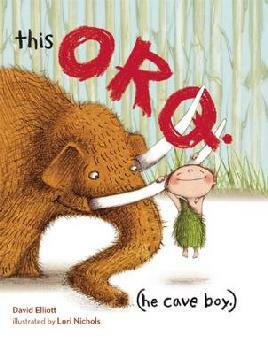 Legends of the swamp: The 2011 Margaret Mahy Award Lecture. Barbara Larson, publisher. For her continuing personal commitment to publishing high quality novels for teenagers . Grazing the longacre: The 2010 Margaret Mahy Award Lecture (published in The inside story: year book 2010). Andrew Crowe, writer, photographer. The first non-fiction writer to win this award, Andrew Crowe is a natural history writer and photographer. Creative non-fiction: The 2009 Margaret Mahy Award Lecture (published in The inside story: year book 2009). Wayne Mills, lecturer, initiator of children’s literature quizzes in New Zealand and internationally. Reading aloud is allowed: The 2008 Margaret Mahy Award Lecture (published in The inside story: year book 2008). Ken Catran, writer. Teen literature: demons old and new. The 2007 Margaret Mahy Award Lecture (published in The inside story: year book 2007). Robyn Belton, illustrator. Gathering images: the stories behind the pictures. The 2006 Margaret Mahy Award Lecture (published in The inside story: year book 2006). David Hill, writer. By the book: The 2005 Margaret Mahy Award Lecture (published in The inside story: year book 2005, Storylines). Pamela Allen, writer, illustrator. My picture books: The 2004 Margaret Mahy Award Lecture (published in The inside story: year book 2004). Jack Lasenby, writer. Changes and origins: The 2003 Margaret Mahy Award Lecture (published in The inside story: year book 2003). Maurice Gee, writer. Creeks and kitchens: The 2002 Margaret Mahy Award Lecture (published in The inside story: year book 2002). Sherryl Jordan, writer. Journeys of the heart: The 2001 Margaret Mahy Award Lecture (published in The inside story: year book 2001). Gavin Bishop, writer, illustrator. Kia ora, Professor Cole: The 2000 Margaret Mahy Award Lecture (published in The inside story: year book 2000). 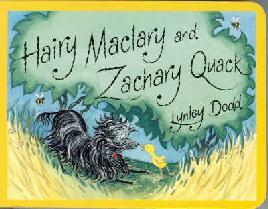 Lynley Dodd, author and illustrator. Writing the pictures and painting the words: The 1999 Margaret Mahy Award Lecture (published in The inside story, year book 1999). William Taylor, writer, reviewer. A strange way for an adult male to be making a living! The 1998 Margaret Mahy Award Lecture (published in New Zealand Children’s Book Foundation Year Book, 1998). Ann Mallinson, publisher (Mallinson Rendel). From a trickle to a river: the 1997 Margaret Mahy Award Lecture (published in New Zealand Children’s Book Foundation Year Book, 1997). Tessa Duder, writer and reviewer. Learning to swim in the deep: the 1996 Margaret Mahy Award Lecture (published in New Zealand Children’s Book Foundation Year Book, 1996). 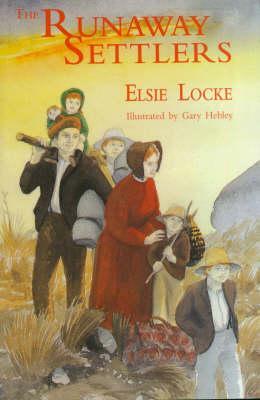 Elsie Locke, author and ardent advocate for New Zealand children’s literature. You must do it better: the 1995 Margaret Mahy Award Lecture (published in New Zealand Children’s Book Foundation Year Book, 1996). Betty Gilderdale, author, reviewer and lecturer. Some cautionary tales: The 1994 Margaret Mahy Award Lecture (published in New Zealand Children’s Book Foundation Year Book, 1997). Joy Cowley, writer and lecturer. Influences: the 1993 Margaret Mahy Award Lecture, NZ Children’s Book Foundation, 1993. Dorothy Butler, author, bookseller, reviewer, lecturer and authority on children’s books. Telling tales: the 1992 Margaret Mahy Award Lecture, NZ Children’s Book Foundation, 1993. Margaret Mahy, writer and speaker. Surprising moments: the inaugural Margaret Mahy Award Lecture, NZ Children’s Book Foundation, 1991.